In a city where it can be so easy to cycle through outfits on a whim, we need to make sure we aren’t playing into the hands of big businesses. 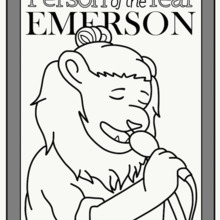 Emerson’s focus has always been about using the right words to get points across clearly, and that’s not going to change just because we want to use inclusive language. Transfer students do not have the same opportunities to be considered for their work in the way that others are. We can easily use the power of the dollar to make environmentally friendly food choices. Young people are manipulated into working for free all the time in the name of "exposure," "building a portfolio," or just plain "experience." It’s bad enough that our go-to college policy is to make up snow days on the weekend. Dear Editor, Your editorial “Bridging the Divide Between Majors” (Jan. 26) asserts that “departmental divisions” hinder students’ opportunities to take courses outside of their major. The School of the Arts shares your concerns. Improving students’ ability to move between departments and disciplines is a priority for us, and, while not instantaneous, we have made considerable improvement. Nearly six years ago, a team of U.S. Navy SEALs raided the home of Osama bin Laden, killing the terrorist leader and burying his body at sea only hours later. The following day, the news of his death dominated my seventh grade literature class as students cheered what President Obama called “the most significant achievement to date in our nation's effort to defeat al Qaeda.” But what began as a celebration soon erupted into a heated argument between me and my classmates over their glorification of a violent death. At issue: Saturday makeup classes Our take: It's the freakin' weekend. I went into my gap year in Paris with preconceived notions of how much I would learn about the language and culture of France. But at the end of my experience, I realized that immersing yourself in an unfamiliar culture teaches more than that. I learned how to wonder about the way the world looks to those not standing in my shoes.